The new order is separate from the president's much touted goal of creating a "Space Force," but considered a first step in that direction. WASHINGTON — President Donald Trump has ordered the Pentagon to create a unified combatant command for space operations, Vice President Mike Pence announced on Tuesday. "The U.S. Space Command will integrate space capabilities across all branches of the military, it will develop the space doctrine, tactic, techniques and procedures that will enable our war fighters to defend our nation in this new era," Pence said during a speech at the Kennedy Space Center in Cape Canaveral, Florida. Trump signed a one-page memorandum Tuesday authorizing the Defense Department to create the new command. Pence, in his speech, teased more to come on the Space Force front. "In the days ahead, President Trump will also sign a new space policy directive that will lay out our plans and our timeline to create the sixth branch of the armed forces, the U.S. Space Force," Pence said. The idea of a Space Command is not new — the same command previously existed from 1985 to 2002 but was dissolved following the 9/11 terrorist attacks. The Air Force maintained its own space command following 2002, but unified operations ceased. 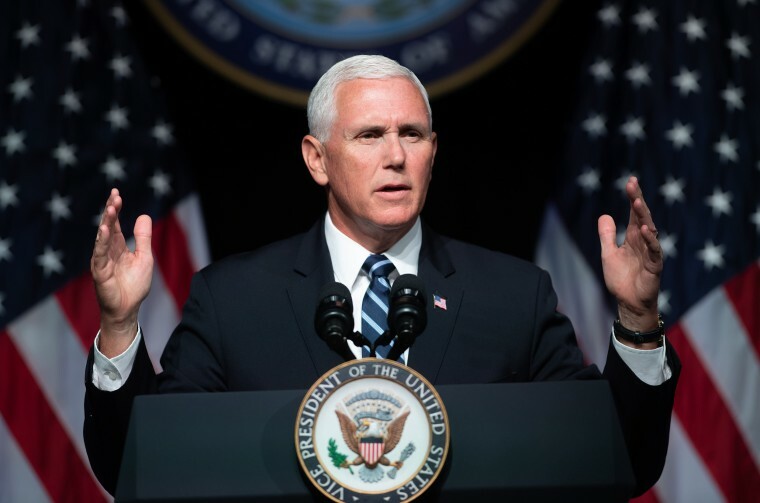 Pence had previously announced the administration's intention to create a Space Command during an August speech that laid out the White House's goal to set up a Space Force by 2020. The Pentagon has been working to create a policy proposal for Space Force that is expected to be presented to Congress early 2019. Pence framed space as the next war fighting domain, citing threats from China and Russia. "China has tested missiles designed to destroy satellites. China and Russia are working to station new weapons directly in space," he said. Pence was in Florida to attend the launch of a new GPS satellite originally planned for today. The launch, which will use a SpaceX rocket, was scrubbed and rescheduled for tomorrow.